Larry Reeves' road has been a hard one. Born into a crime-ridden Boston neighborhood in 1974, Larry dropped out of school in seventh grade and was arrested at 15 on drug charges. Another teen in juvenile detention, however, inspired him with a thirst for education. Soon he completed his GED and was educating himself through correspondence courses. More difficulties lay ahead, though. In 2014, a double aneurysm exploded in his brain, and he was rushed into surgery. Two seizures followed and his kidneys failed. Miraculously, Larry was released from the hospital after only 30 days, but now he was homeless. 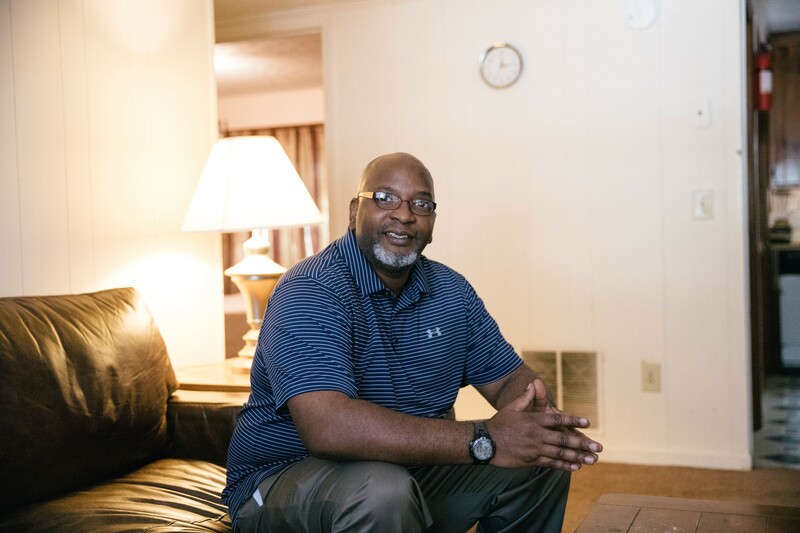 After making his way to metro Atlanta, he found shelter at MUST's Elizabeth Inn. A caseworker helped him connect with the health services he needed and MUST assisted with his medication expense. A contact with the Lion's Club got him a much-needed pair of eyeglasses. Larry now lives in MUST Permanent Supportive Housing. Although he can't work, he gives a lot of his time to help others by volunteering. Leading a Bible study for his peers has engaged him more deeply in community -- and has proven to be a real confidence builder for him. "I was blessed at zero," Larry says. "At least from zero you know where you are and you can start anew. Some people don't have the choice or chance to start over from zero anymore. God used MUST Ministries as he turned all the bad things into blessings because of his love, mercy, grace and purpose for my life.